In Early Chinese myths, pearls or Moti were thought to fall from the sky when dragons fought. Ancient Greek legends say that pearls were thought to be the tears of the gods. When the goddess of love was born from the sea, she shook from her eyes hardened tears of joy, pearls. Greeks believed that wearing pearls or Moti would promote marital bliss and prevent newlywed women from crying. To different cultures pearls have symbolized modesty, chastity, power, and courage. Cultured or freshwater pearls are considered to offer the power of love, money, protection, and luck. Pearls are also thought to give wisdom through experience, to quicken the laws of karma and to cement engagements and love relationships. 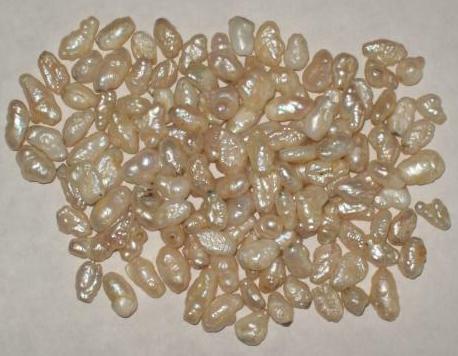 Harness the ago-old power of pearl to bring love, wealth and prosperity into your life, or to help you to shed the shell of the past and make a fresh start. There is an ancient form of divination called margaritomancy, which is derived from margan', the Persian word for pearl. This method uses a pearl to determine the guilt of a person accused of a crime. As pearls were associated with purity, they were thought to react against anything false. If you want to get it contact us.